westerns | Narration by George! 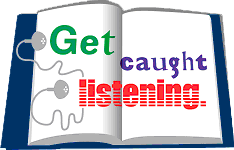 This week’s podcast looks at four books from two very different genres. For the ladies, there is the sweet romance series by Regina Puckett, The Warren Family. This features two books, Concealed in My Heart and Songs That I Whisper. For the guys, there are two westerns. 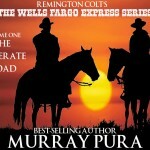 From Remington Colt’s Wells Fargo Series, Murray Pura pens The Desperate Road. James Griffin has written Faith and the Law: Ambush. Both books feature great characters and exciting action. You’ll hear samples from all these books as well as a look at a traditional Christmas Carol. And don’t forget that my Holiday Give-Away is in full swing – right through New Year’s Day! This entry was posted in Audio Books, Christ, Christian, Christmas, Commentary, George Taylor, James J. Griffin, Murray Pura, Narration by George, Regina Puckett, Romance, Spiritual Ideas, Westerns and tagged action, adventure, Audio book, audio books, audiobook, audiobooks, Birth of Jesus, Christ, Christian, Christianity, Christmas Carols, devotional, excerpts, fiction, give-aways, James J. Griffin, Jesus, Murray Pura, Narration by George, Novel, novels, Regina Puckett, romance, westerns on December 9, 2015 by admin. 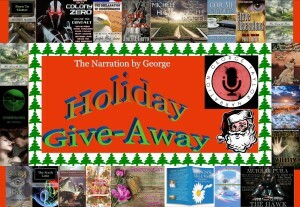 This is the last of the review of the 41 audio books I have produced since Narration by George has started business. 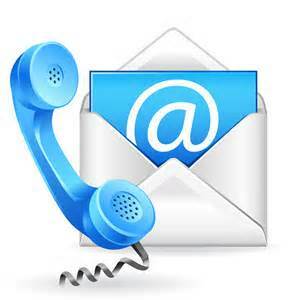 This week, you’ll hear some poetry, a fantasy, two science fiction excerpts, a western, and a non-fiction book. Quite a spread of genre’s to enjoy this time. This entry was posted in Acting, Action-Adventure, Andrea J. Graham, Dee Malchow, Fantasy, George Taylor, Medical, Murray Pura, Narration by George, Non-Fiction, Poetry, Reading, Regina Puckett, Samples, Science Fiction, Tony Hilling, Travis Perry, Westerns and tagged amputation, Audio book, audio books, audiobooks, excerpts, fiction, medical, Narration by George, non-Fiction, Novel, novels, poetry, samples, science fiction, westerns on August 18, 2015 by admin.